On Nov 21, letters to stake claim to form govt by PDP and People's Conference failed to reach Guv, apparently as machine wasn’t working. 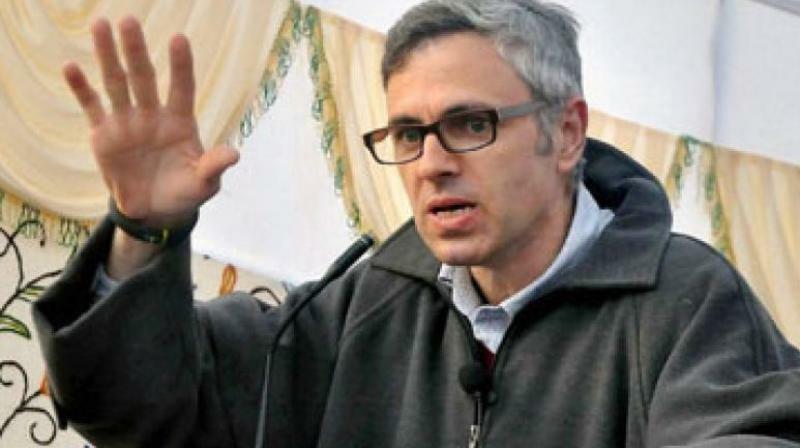 Srinagar: The Jammu and Kashmir Raj Bhawan's fax machine, which was at the centre of a political drama last month, made news again after NC leader Omar Abdullah claimed his attempt to send a letter to Governor S P Malik Sunday failed as it was still not working. The former Jammu and Kashmir chief minister was trying to fax a letter to Malik expressing the National Conference's (NC) concerns over reports of changes proposed to the procedure of granting permanent residence certificates in the state. He shared the letter on Twitter. "I'm trying to fax a letter to the Jammu and Kashmir Governor but the fax machine still isn't working. The operator who answered the phone says the fax operator is on holiday as it's a Sunday. Will attempt again tomorrow in the meantime am forced to put the letter out through social media," Abdullah said in a tweet. "J&K Raj Bhavan needs a new fax machine urgently," he said, retweeting a post from November 21. The Jammu and Kashmir Raj Bhawan's fax machine made headlines last month when Malik abruptly dissolved the state assembly. On November 21, letters to stake claim to form government by the Peoples Democratic Party (PDP) and a two-member party, People's Conference, allegedly failed to reach the governor, apparently because the machine was not operational. Malik later said the fax operator was unavailable on account of Eid-e-Milad-un-Nabi, which is a state holiday.